not the first town in the county, Koto was established in 1883.
being filed and lots were being snatched up. Deeds in 1884 cost $1.25/acre. With the growth of businesses came organizations such as; Masonic Lodge, order of the Eastern Star, Modern Woodmen of America, Odd Fellows and Rebekah Lodge. Several outstanding community leaders emerged from this period in Leola's history. A progressive farsighted man named Charles N. Herried came to Leola in 1882 at the age of 27 and used his knowledge of government to help set up the county's government. He served as its first clerk and register of deeds, later becoming county judge and in 1892 being named lieutenant governor. Another community leader was John J. Hepperle, who served as city auditor, mayor, county treasurer, register of deeds and county commissioner. He became president of the First State Bank of Leola and his political aspirations led him to the state senate. John Friedrich (Fred) Junge was on of South Dakota's first legislators. His six children took an active part in the development of Leola. One daughter, Caroline (Junge) Haynes was the mother of Leola, for whom the town was named. Another daughter, Phrene Junge was a leader in the community. 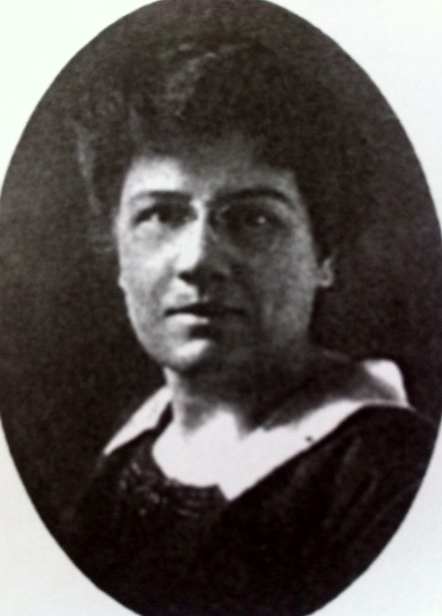 She worked for John J Hepperle in the First State Bank, served in the post office and was secretary in many of the county offices, later becoming county treasurer. One son, Albert, owned a dry-good store, another son, Frank, ran a feed and implement store, then a grain elevator, eventually becoming post master. A third son, Xavier, ran the Junge Feed and Implement store which later merged with the Valentine Feed and Implement. Fred himself served as county sheriff from 1887 to 1890 and as post master from 1893 to 1897. On April 2, 1889, a fire raged through Leola carried by winds estimated at 80 mph. About 80 buildings were destroyed. Possibly the fire started from a smoldering straw pile that had been burned the previous month by Eben Daugherty in the Arena Valley, northwest of Leola. It is said the fire was spread by dry buffalo chips being blown about in the strong winds. Two men died as a result of this devastating fire. 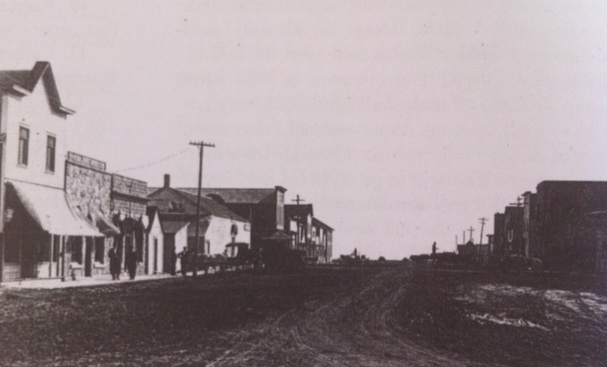 Leola's citizens organized and began to rebuild their town. Surrounding towns also came to their aid, buildings went up fast and more were built in 30 days. Changes and improvements were rapid. A large crowd greeted the first train Christmas Day in 1906. Businesses changed hands and relocated frequently. On June 2, 1908 a German school opened for a summer. Twenty carloads of stock (the first big shipments) were shipped via the M & St. L. railroad. On September 24, John Dexter drove into town with the first automobile in the county. In 1909 the Leola School was constructed. In 1917, a 50,000 gallon water storage tank was built atop a 100-foot tower and firefighting equipment was added to the fire department. The trustee board hired a marshal to enforce the laws and arrest all persons driving over 12 mph within town limits. Also in 1917 marked the school's first commencement exercises for the high school. On December 9, 1920 Leolans enjoyed an improvement in their electric service. 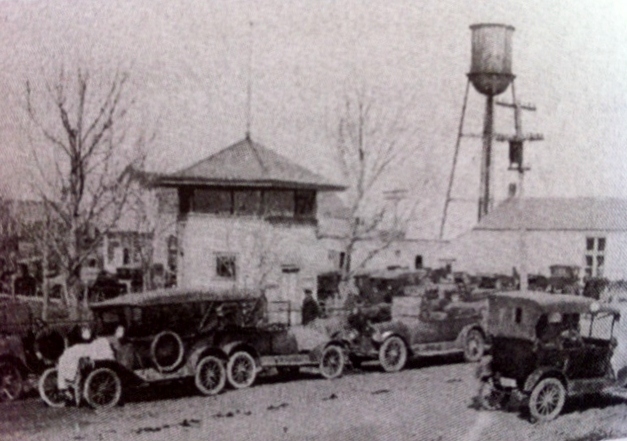 electric lights came on an hour earlier in the afternoon; six street lights were added and a beacon light was mounted atop the city water tower. Leola covered 30 acres of land, including residential and business areas, when the Lundquist Subdivision was added on April 25, 1927, named after Dr. Gilbert C. Lundquist, who donated the land that embraces the Leola dam. Two lots in Pleasantview Addition were donated by Charlie Fosler for use in establishing a hospital for Leola. The hospital opened in March 1952. Leola's Railroad Depot burned to the ground on Christmas Day 1925, a fire department was organized the very next day and still exists today. In 1951 the Roy s. Hickman Post #78 built a Legion Hall. An ambulance service was added to the fire department in 1955. The 1960's also saw the installation of dial telephones as well as the addition of lights to the ballpark. 1966 was a tough year for Leola in regards to weather. "The Blizzard of March 3, 1966" was called "a killer out of the west." Reports indicated that it was one of the worst in history, having lasted the longest period of time. Up to 23 inches of snow fell with winds from 40-50mph. approximately 1,000 head of cattle were lost. The heavy snow and high winds killed livestock in barns, in feedlots and on the range. Roofs collapsed under the weight of the snow, killing cattle trapped inside. Many farms were without power for four to five days. In August 1966 a wide swath of destruction hit northwest Leola and the Long Lake area. Several tornadoes hit that day. Complete farms were wiped out, machinery and car demolished, trees uprooted. Some farmers reported the loss of cattle, hogs and poultry. There were two deaths reported. In 1974, the Senior Citizen Center was opened in the former Masonic Temple Hall. Due to high costs to maintain, this building was turned over the City of Leola in the 2000's and is now called the Citizen's Center. Leola's citizen's recognized the need for the Municipal Building in 1975 and the city council approved the construction of a building to house the council's meeting room, the Finance Office, public restrooms and a community room. In 1976 the Leola Swimming Pool was constructed by Westgate Inc. at the cost of $114,950. The concrete floor of the pool was re-laid in 2006. Playground equipment was added adjacent to the pool in 1977. A picnic shelter was added to the City Park in the 1980's and a shelter to the Swimming Pool Park in the 1990's. The Leola Fire District was formed and their awarded grant was channeled through the City of Leola to construct a new fire hall for $159,984 in 1991. July 3rd - 5th, 2013 Leola celebrated it's 125th birthday. The celebration consisted of a road race with 112 racers which there was five different categories; 10K Men, 10K Women, 5K Men, 5K Women and 2 Mile Women. 57 turtles were entered into the Turtle Races. A parade route of 17 blocks was filled with 200 entries. Along with Tractor Poker Run, Beard Judging, raffle items, car and motorcycle show, softball tournament and bullarama. All historical information was taken from the Leola Quasquicentennial book.